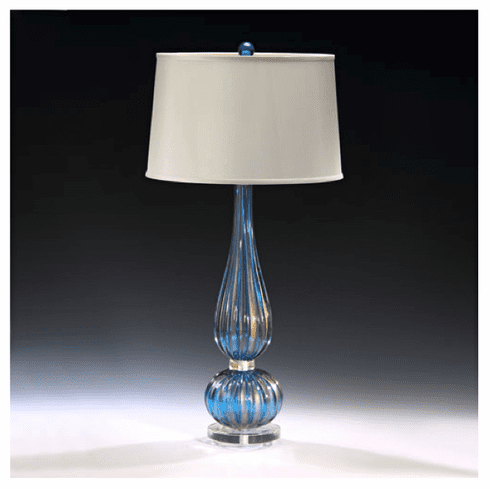 Finest Venetian glass is hand-blown by an artisan group formed in 1928 in Italy producing the utmost quality and beauty known in the interior design industry. Strié of azure and clear glass are shaped in a beautifully symmetrical design reminiscent of a fine perfume bottle of France. Save 15% on a pair. Code "SCORE2"